If you're interested in checking out Battleborn before it arrives in full next month, then fire up your platform of choice and start downloading the open beta version. PlayStation 4, Xbox One, and PC players can all start pre-loading it now, though only the PlayStation 4 players will be able to start playing it tomorrow. The open beta will run from April 8th to April 18th for PlayStation 4 owners, and April 13th to April 18th for PC and Xbox One players. Despite the five day difference in start time, 2K has made the open beta download available to everyone now so you can be prepared the day it launches on your platform. They've even released a little 12 minute video that runs through the different game modes and factions. On the co-op side of things, this beta will feature two story missions for you and your friends to play. All 25 heroes will be available to play, but a few of those you'll have to unlock first. 2K has a full blog post up on their site that lays out all the dates and other info you'll need. If you're digging what the game has to offer, then 2K has some more good news for you. The Season Pass, which will include the five add-on packs when they're available, is now available for pre-order on Steam and the respective digital storefronts for the PlayStation 4 and Xbox One. The Season Pass will run you $19.99. Alternatively, if you haven't picked up the game yet and want all of that content, they are also now offering a Battleborn Digital Deluxe Edition for $74.99. This package includes the full game and the Season Pass. 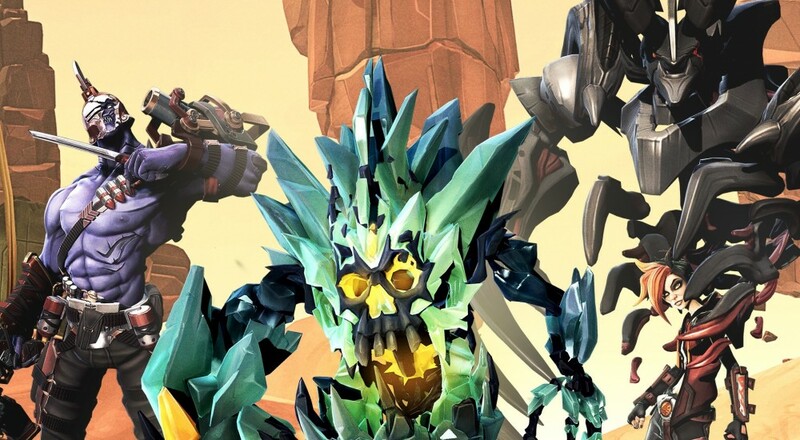 Battleborn arrives on PC, Xbox One, and PlayStation 4 on May 3.